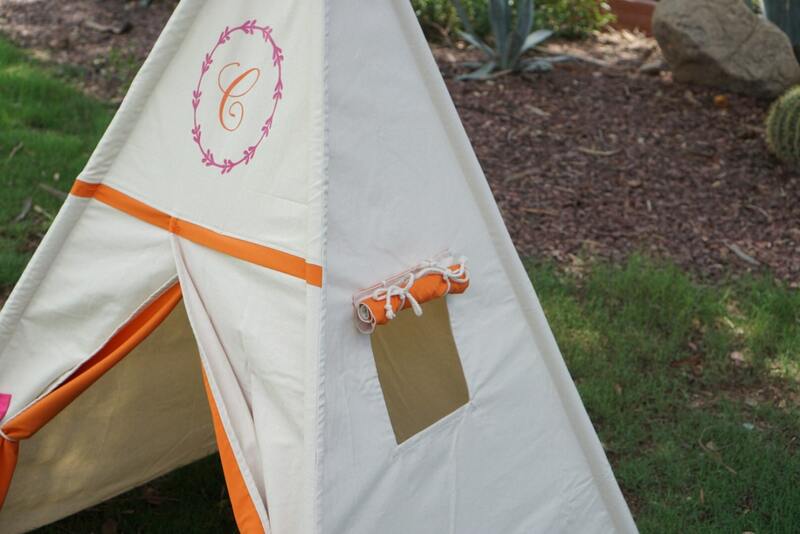 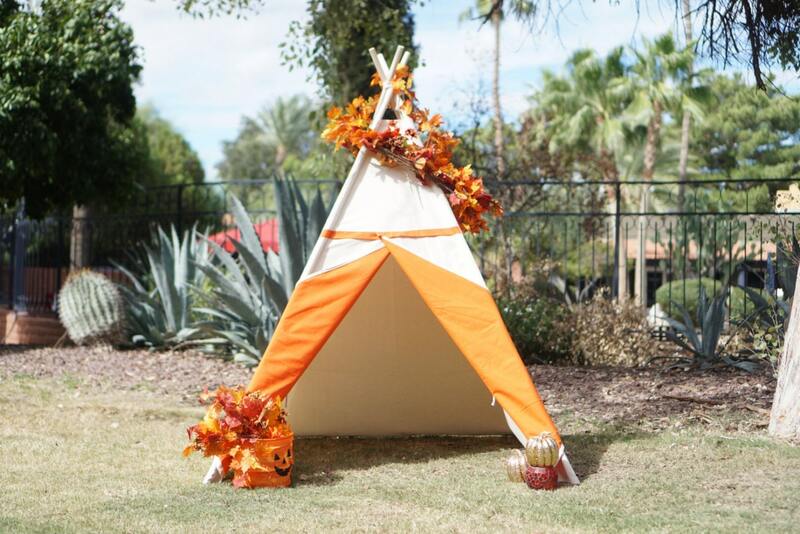 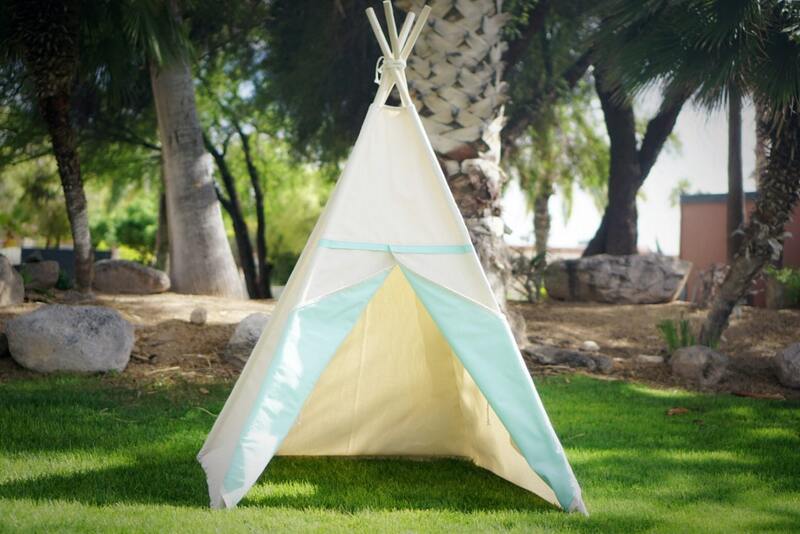 A modern chic two-tone teepee, unbleached canvas teepe with solid color fabric lined inside and overlapping front panel. 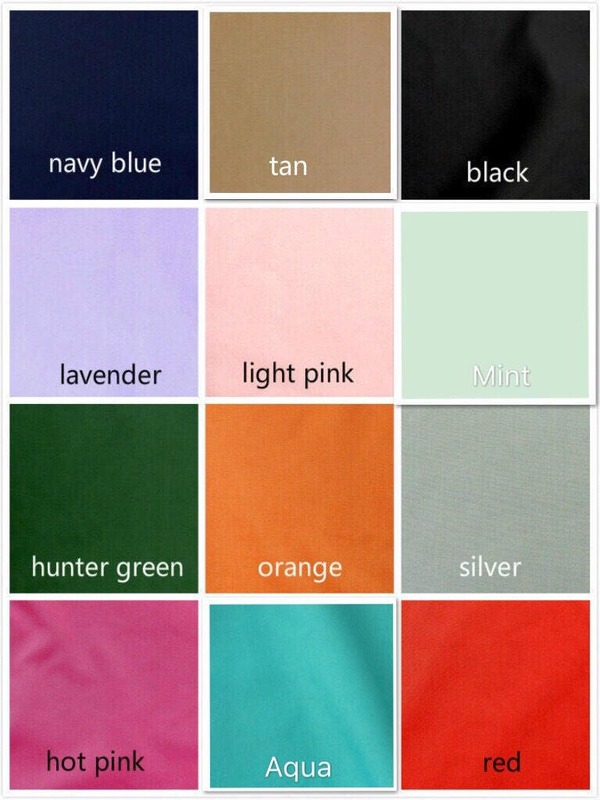 I have 10+ choices for the lining color, please choose your favorite accent from the dropping menu. 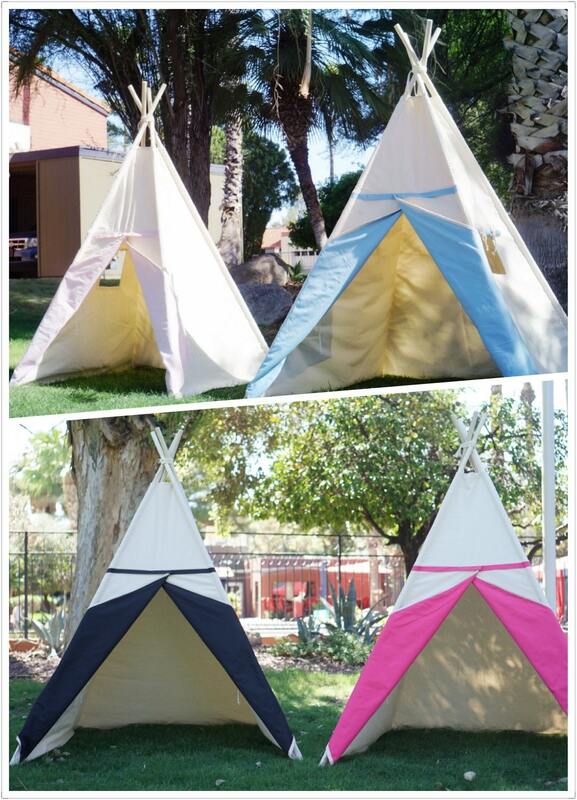 Or you may add matching color flags on top.